Jane Austen's only complete surviving manuscript, the 52 handwritten pages of “Sir Charles Grandison” is going on show in her home village of Chawton, Hampshire. Experts believe Austen wrote the play to be performed by her family at their former home in Steventon, near Basingstoke between 1791 and 1800. 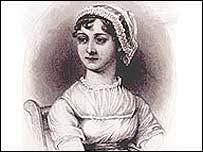 The pages, which had been carefully preserved by the Austen family, were discovered in 1977 and not published until 1980. Chawton House is a Grade ll listed Elizabethan manor house which once belonged to her brother and is now a library and Centre for the Study of Early English Women's Writing, 1600 - 1830. A rare first edition of the Beano has been sold at auction for £12,100, setting what is thought to be a new UK record for a comic. To the surprise of the cognoscenti of the comic world, it sold for over 25% more than what it was expected to reach, with the last known auction of a Beano No 1 fetching £7500 in 2002. The comic was collected by a tea-boy working at the Beano’s publisher’s, DC Thomson of Dundee, in 1938 and had been kept carefully by his family ever since before being offered for auction late last year. The canny youth had even written “KEEP FIRST ISSUE” on the top of the front cover in light pencil. An archive of Conan Doyle material, lost for the last 40 years, has come to light when the beneficiaries of the Conan Doyle estate permitted inspection for the first time. There are some 3000 separate items from personal notes and letters to three notebooks which contain the draft title sketch for A Study in Scarlet revealing the original proposed title of A Tangled Skein which had been crossed through. The existence of the papers has been known about since the publication of a list in John Dickson Carr's authorised biography of Conan Doyle in 1949 but their whereabouts has been a mystery. The archive will be sold in London on May 19th. Highlights have been on view in USA at the Rockefeller Center until April 1st and will be on view in London at Christie's in King Street from May 14th. A survey published for World Book Day reveals that accountants spend more time reading books for pleasure than any other profession. It appears they read books on average for just over 5 hours a week, twice as much as the clergy, and Jane Austen and Tolkien are amongst their favourite authors. As to where academics stand in the reading tables, we do not know as they are not mentioned, which is odd for a profession whose raison d’etre is reading! On one of my regular visits to a second-hand bookshop in the West Country a few years ago I bought a set of William Yarrell’s A History of British Birds. It was not a particularly nice set, the cloth covers were worn and scruffy, but internally the books were unusually clean and bright. While I was paying for the books the owner made a rather disparaging remark about Yarrell’s British Birds - how he was sick of them and how difficult they were to sell etc. This struck me as a rather unreflective remark because I have always considered the engravings in Yarrell to be quite fine. 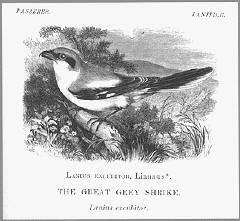 The bookseller’s remark led me to think about the current neglect and lack of appreciation of some of the older ornithology books, in particular where there are no colour plates but only black and white engravings coupled with an often lengthy description. We now have an annual flood of bird books with impressive colour plates. Rather than using colour photography many of these handbooks and guides contain colour plates which derive from the work of illustrators. This over-production of ornithology titles is probably responsible for the disdain for many of the earlier books. Bewick may well be the exception, the early editions still fetching high prices. The first really popular ornithological work that was used as a recognition and reference manual was Yarrell’s History of British Birds. The engravings in this work, first publshed in 1837, were still being used well into the 20th C. and last appeared in Howard Saunders’ Manual of British Birds published in 1927, so were in print for nearly 100 years. In 1920 the 3-volume Practical Handbook of British Birds by Witherby et. al. was published. This has 30 colour plates of dubious quality, and even the 5-volume Handbook, first published in 1938 also by Witherby, has colour plates which vary a lot in quality. So in these handbooks the colour descriptions were still most imortant in accurately describing plumage. It was not until the 1970s that cheap colour printing became more reliable. I believe that hand-colouring actually diminishes, rather than improves the descriptive precision of a detailed engraving, with it’s emphasis on texture and markings, in conjunction with careful use of colour terms. I doubt whether the introduction of hand-colouring to engravings and later to lithographs was an improvement to the accuracy of depiction compared with the combination of highly detailed engravings, showing texture, markings, and structure and a comprehensive description using an imaginative glossary of colour terms. Colour was certainly a tool for prettiness and the enthusiasm for Victorian and earlier hand-coloured plates of birds is without question, but did these images provide the ornithologist with more information or did they tend to obscure the detail already present? Yarrell’s History probably contains the richest collection of colour descriptions in any bird book in the English language, and although some of these terms were used in subsequent works, and to some extent today, they have been modified and the more bizarre similes excluded. It is worth looking at how these terms came into the language of the English naturalist. The early naturalists in England had a problem with their use of colour terms in that there was no concensus as to their precise meaning. Ambiguity and confusion were common, some terms even having several quite different meanings. The written terms were derived from Latin - some of which are still in use today. In 1677 a most remarkable work was published by Walter Charelton, Exercitationes. This contains an Appendix, a glossary of colour terms and an attempt to impose a consistent meaning to their use. The terms that the naturalists used were similes, while those used by painters were the names of the pigments, the stuff itself. Charelton defined 16 terms for yellows (The Latin terms with their English equivalents), 16 reds, 10 blues, 9 greens, 5 purples, 7 greys, 6 browns, 3 bays, 11 whites, and 7 blacks. These contained such colours as coracinus - raven black, murinus - mouse-colour, mulvinus - kite colour, columbinus- dove-colour, and mustelinus - weesel-red (contemporary spelling). So as you can imagine there was plenty of room for confusion. In Yarrell we find various parts of the Bee-Eater described as verditer blue, saffron-yellow, chestnut, duck-green, verdigris-green, buff, greyish-brown and fawn colour. The Roller as berlin-blue, brownish-yellow, coppery-purple and light cinnamon. The Spotted Eagle as chocolate-brown, pale wood-brown and reddish liver-brown. The Golden Oriole had lead-colour toes, other parts oil-green, brocoli-brown and wine-yellow. The Cuneate-Tailed Gull was smoke-brown and pearl-grey, the Turnstone had ferruginus portions, the Little Auk was livid-brown and sooty-brown, while the American Bittern was leaden-brown. The variations in these terms seems to be inexhaustable. They can now be considered a curiousity, somewhat romantic or just pure pedantry on the author’s part. But it was a serious attempt to try to define quite subtle colourings. These colour names did act as an aide-memoire to the field ornithologist. For who can remember a colour without giving it a name? One man who tried to bring some order and consistency into this chaotic situation was Robert Ridgway, Curator of the Division of Birds, United States National Museum. 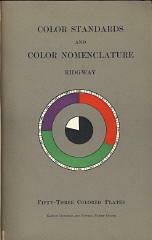 His Color Standards and Nomenclature was privately published in 1912 in Washington D.C. It is clearly stated in the Preface that “The motive of this work is the Standardization of Colors and Color Names”. This work contains “Fifty-three Colored Plates and Eleven Hundred and Fifteen Named Colors”. Each colour was hand-printed. The irony is, of course, that the colours are susceptible to fading so cannot be exposed to light for very long. The names chosen are a mixture of pigment names, those used in industry and those derived from the Latin, such as the names in Charelton’s glossary. So we still have Cinnamon-buff, Vandyke-brown, Vinaceous-tawny, Violet Ultramarine, Ferruginous, Carrot Red, Lettuce Green and Cobalt Green. Even the nine volume Birds of the Western Palearctic, completed in 1994 contains lengthy and detailed colour decriptions of plumages as well as colour plates from illustrator’s paintings. Here we find familiar terms used such as tawny-yellow, rufous-cinnamon, cinnamon-buff, oil-green, fuscous-brown, fuscous-drab, red-chestnut, brown-horn, chocolate-brown, plumbeous, and toes still leaden-grey, but no colour key to go with the terms. I would prefer Yarrell with his marvellous repertoire of colour names and exquisite engravings. But then I am writing as a bookseller and not a bird-watcher. 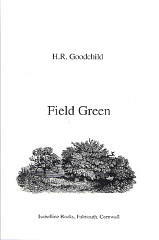 For those who may wish to share an infectious enthusiasm for the marvellous names of the colours found in older books, I would recommend Field Green by H.R. Goodchild. A charming memoir, not altogether reliable, of a boy growing up in a secluded valley in Devon who becomes fascinated by birds, their strange migratory patterns and habits. Field Green is published by Isabelline Books. We have all read books and thought we could do better than that ourselves, much better. Well, we will shortly have the chance to do so in a BBC Three-sponsored writing program. Leading authors, such as Ian Rankin, Sue Townsend, Fay Weldon and comic Alexei Sayle will write the first part of a short story, which will then be published in leaflet format and distributed to places where budding writers habituate, such as libraries and on the internet. Readers will then have six weeks to finish their chosen story and submit it for “marking” and have their writing showcased on BBC Three.